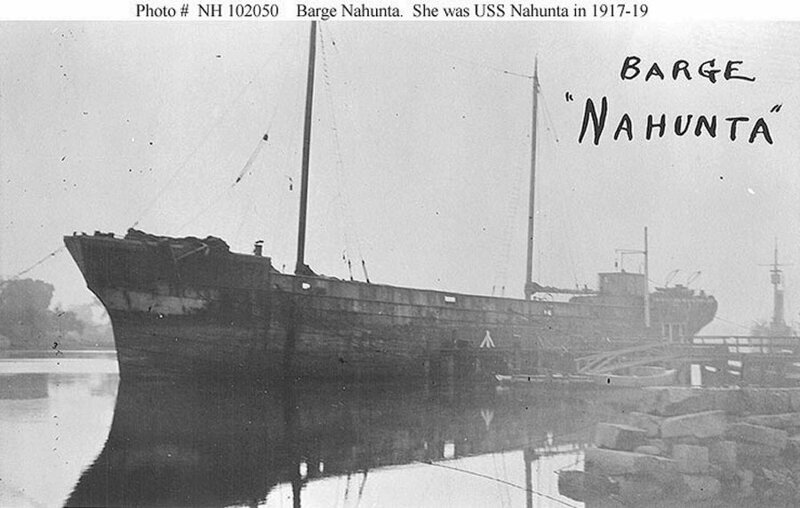 Barge: Built in 1872 as West Point by Aitken Mansel, Glasgow, Scotland; Acquired by the Navy 8 August 1917 and commissioned USS Nahunta the same day; Struck from the Navy list 13 June 1919; Sold 2 October 1919. Fate unknown. Specifications: Displacement 1,213 t.; Length 226' 6"; Beam 38' 8"; Draft 21'; Speed non-selp propelled; Complement six; Armament none. 95k Photographed prior to her World War I naval service.